How many facilities are there for drug and alcohol rehab in San Jose, CA? What treatment options do San Jose health and rehabilitation centers offer? 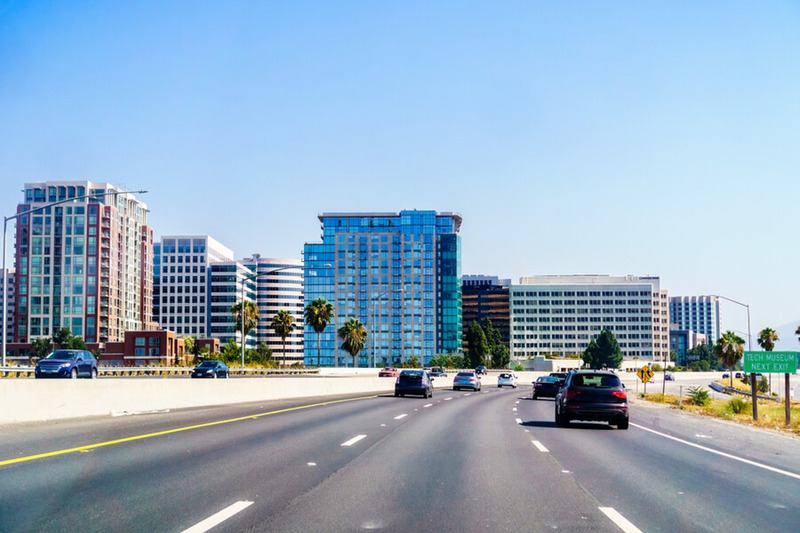 What to expect when seeking a sober living environment in San Jose, CA? What are alcohol and drug addiction trends in San Jose, CA? How Many Treatment Centers are in San Jose, CA? There are 37 rehab centers for treating substance abuse and mental health located in San Jose, CA. This number is based on the published list of facilities that are accredited by SAMHSA which maintains reviews and imposes treatment, care and support standards pursued by various addiction facilities, including San Jose rehabilitation centers. San Jose health and rehab programs are typically combined, acknowledging the importance of integrating mental health to recovery so that the underlying causes of addiction may be adequately addressed. Apart from these, patients are also encouraged to participate in Narcotics Anonymous (NA) and Alcoholics Anonymous (AA) San Jose meetings. Joining San Jose AA and NA discussions help encourage patients to keep pursuing the path to sobriety. How Buprenorphine Physicians Can Help With An Addiction? The SAMHSA also lists 16 buprenorphine physicians in the area. These medical doctors are certified to administer medication-assisted addiction recovery, particularly recommended for patients who have developed an addiction to opioids. It is important to note that opioids significantly impact a patient’s brain functioning and that any sudden withdrawal from opioids may trigger life-threatening consequences. Guidelines for drug detox in San Jose generally recommend physician-assisted medical recovery where opioids are concerned. More and more people are pursuing sober living in San Jose. This is because of the full range of available services, but also because of its vibrant community defined by the upbeat and fast-paced life in Silicon Valley. The eclectic mix of culture, ideas, and people keep the city bustling with life, day in and day out. Some recovering addicts thrive better in this kind of environment. The innovative keeping their minds busy and away from the thought of taking substances. What Treatment Options are Possible in San Jose, CA? There is a considerable number of facilities for alcohol addicted and drug rehabs in San Jose that help ascertain, that there is a recovery program that will fit most, if not all, patient profiles and personal preferences. For one, there are San Jose rehab centers that not only focus on the patient’s treatment, but also addresses potential challenges in his relationships, particularly with his significant other and his family. The patient and his family may also choose from in-house, outpatient or, any combination of these to avail of the most suitable care required to treat substance abuse. They may also elect enrollment to hospital-based care. In most, if not all, cases, a patient is recommended to undergo mental health care as well. The SAMHSA lists 20 San Jose mental hospitals and clinics that specifically promote mental health among people with substance abuse issues. The patient and his family may also choose to go through a recovery program that tightly integrates improving family relations to help improve the patient’s chances of recovery and keeping off of alcohol or drugs. What Treatment Programs are Offered to Patients in San Jose? Through the California Department of Healthcare Services, the city of San Jose, along with other cities and counties in the state, follow a treatment protocol that combines recovery programs with mental health programs to treat addiction. This is evident even in the way the state has structured its functional units to address substance dependence. The Mental Health and Substance Use Disorder Services combines the Mental Health Services Division and the Substance Use Disorder Division under one roof. Through this unit, the state has been able to expand available resources to fund addiction recovery programs significantly. California offers the Drug Medi-Cal Program to help those who have limited resources to get a chance at recovering from addiction. On the other hand, those who have the means to fund their recovery may also choose from several luxury recovery houses, depending on their personal preference. Most treatment programs will link patients to group recovery programs. These programs help to improve the self-esteem of the patient. AA San Jose meetings, for instance, can help a patient see how other individuals have successfully overcome addiction. AA San Jose meetings can also help a patient transition back to sober living and prepare him to socialize with other individuals. How to Find the Best Addiction Treatment Center in San Jose? Admitting that you or a loved one is facing a substance abuse problem is only the first but, it is the critical step in recovery. Before going any further, talk to a qualified physician. Ask if a medication-assisted treatment may be necessary. Where to find accredited treatment facilities? Facilities in our list are accredited by the SAMHSA, state or international accreditation body. They are able to meet a certain standard in treatment and living conditions. These facilities implement methods and techniques that have been scientifically demonstrated to improve a patient’s chances of recovering from substance dependence. Where is the patient’s network located? It certainly would not hurt for a patient to have the love and support of his closest family and friends near at all times. In most cases, a patient’s successful recovery is brought about by personal determination but one that is inspired by the love of people who mean to him the most. If you or a loved one is suffering from addiction, call (888)-459-5511 today to start recovery. All calls are guaranteed safe and confidential. According to CDC, 4,868 people died due to a drug overdose in California in 2017. A figure is slightly higher than 4,544 overdose deaths registered in 2016. This translates to an 11.7% death rate out of every 100,000 population, a number that is significantly lower than the 21.7% 2017 national average for deaths due to a drug overdose. The National Institute on Drug Abuse reports that there were 2,012 deaths due to opioids in 2016 alone, which is about half of all drug overdose deaths reported in that year. Among youth, the US Department of Health and Human Services found in 2015 that 39% of Grades 9 to 12 have ever used marijuana. From the same group of respondents, 6% ever had cocaine, while 5% have used pain relievers for non-medical purposes at least once in their life. For people struggling with alcohol abuse AA Meetings in San Jose, California are available. For people struggling with illicit or prescription substances NA Meetings in San Jose, California are available.